This rather grandly named attraction has crime—real and fictional—covered. Reality bites in the lobby, where serial killer Ted Bundy’s VW Bug (Beetle), which he used to pick up the women he later killed, is on display. Visitors head up a black stairwell to the first gallery, a romp through gruesome medieval tortures, gunslingers of the old Wild West, and so on, along with props from some of the big moments of Hollywood crime (Bonnie and Clyde’s 1934 Ford, a machine gun used in Scarface). 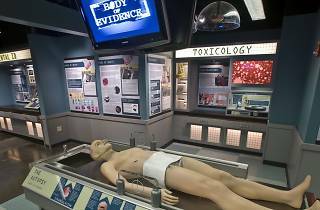 Elsewhere, there’s lots of interactive stuff: you can take part in a line-up or try and beat a lie detector in the Consequences of Crime section, which also has a line-up of judicial killing machines—a lethal injection machine, gas chamber and Tennessee’s electric chair, Old Smokey. The sections on crime fighting allow you to have a go on an FBI firing range, and take part in a simulated police motorcycle chase. 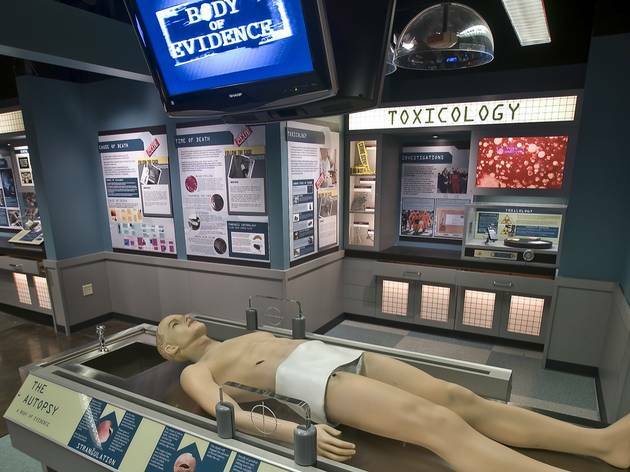 The exploration of the work of CSIs and forensic scientists includes a "body" on a slab showing different injuries and how to interpret them. There’s also a section on America’s Most Wanted.